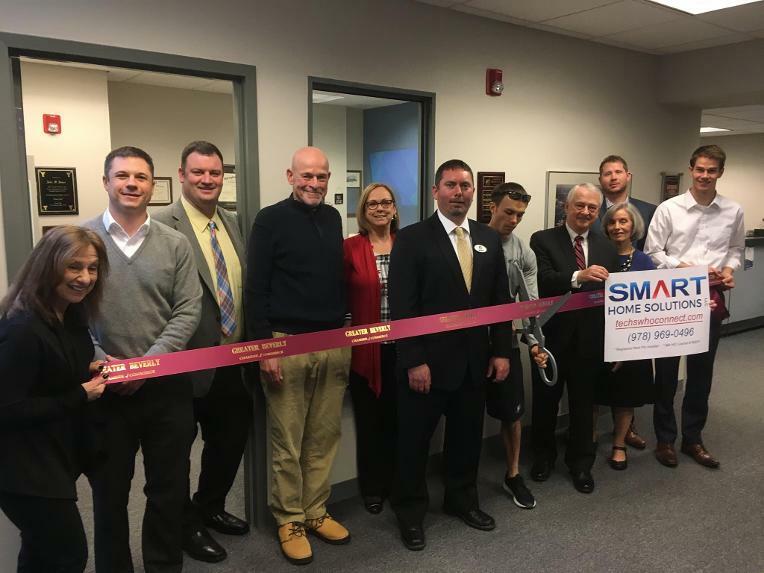 In March the Greater Beverly Chamber of Commerce Board of Directors, Ambassadors and Staff cut the ceremonial ribbon welcoming Smart Home Solutions LLC to the Chamber. Led by Jonathan Davis, President, whose motto is "we are techs who connect", Smart Home Solutions LLC provides assessment, education, and installation services of smart home technology for residential living space and commercial properties on the North Shore. “When I founded this business in 2016, my goal was to provide a one-stop shop for smart device technology implementation and education," said Jonathan. "It is clear to me that home automation is changing the way we live in and experience our homes. Homeowners are seeking more comfort, convenience, and energy efficiency delivered by these smart devices. Our mission is to assess how those products will work in your unique space, educate you about maximizing the benefits of those devices, and provide superior installation services".